We custom make everything for you... Headache. Free. My Murphy bed turned out excellent. What can I say! Well, In Aviation we strive for reliable/professional/ caring service. I got that and more from Murphy Bed Sales team. From the start Alex was very pleasant and honest, I toured the clean shop and witnessed state of the art first class equipment they own to manufacture their Murphy bed products, once we selected style and wood desired, samples were delivered by Alex their CEO as a favor; being I was pressed for time. This said a lot about service and willingness to make a customer happy. 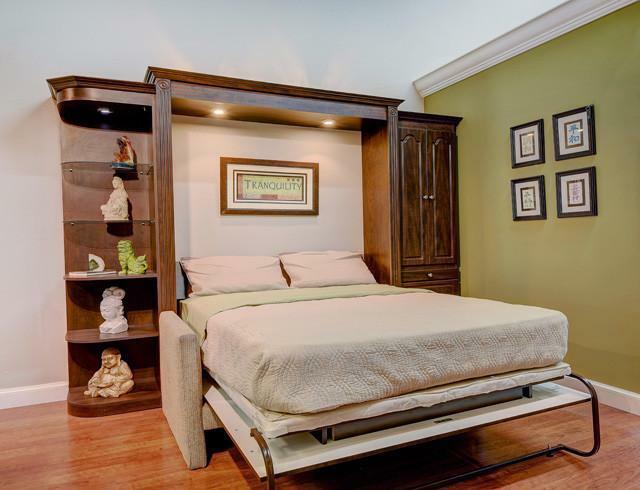 With rooms getting smaller and smaller, a Murphy bed is an ideal way add functionality to your space.